However, it was also a genuine stepping stone in the thought processes that would eventually lead to Enlightenment: The Ultimate Floating Card - which is way superior. 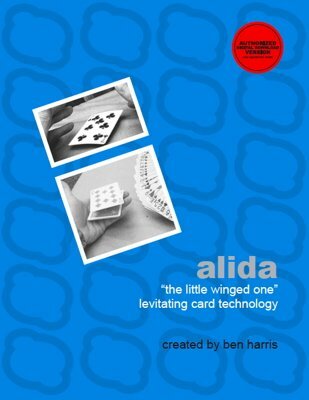 So, controversial or not, Ben hesitates to dismiss Alida as he digitizes the BackStory Project. While the physical product is no longer available on dealer's shelves ("Enlightenment" made it obsolete), we are very happy to supply a digital version for you to explore. You can easily construct the gimmick at home. And if you work on the "Squeeze-Play" clean-up, you will have a real winner. Try it and see! You be the judge! 1st edition 2000; 18 pages, 20 photos.